The mysterious life and death of the nautilus proved such a strong inspiration of life and spiritual growth that Oliver Wendell Holmes wrote a poem about it. Often used as a natural example of a golden spiral, the chambered nautilus is actually a primitive cephalopod that dates back two million years! 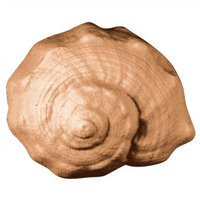 Bar Cavities: 3 Bar Depth: 1.25"
Bar Length: 4" Bar Width: 2.75"
Not only do conch shells make excellent homes for sea snails, they make a great wind instrument, too! 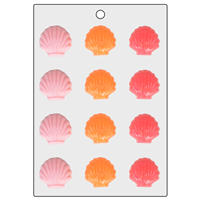 The Conch Soap Mold is perfect for beach themes and trips to the seashore. 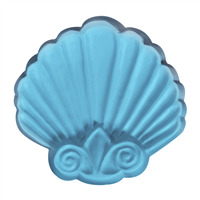 Bar Depth: 1.25" Bar Length: 3.5"
The Half Shell Guest Soap Mold is a scallop shell with fluted details that bring the shell to life! It’s perfect for guest soaps in the summer or in a beach vacation home. Create soap toppers with these super cute Sand Dollar Mini Mold soaps! 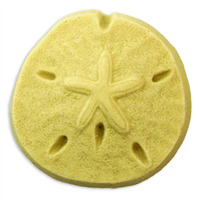 Make sand dollar soaps that look real by using oatmeal soap and scent with a beachy fragrance for the best beachy effect. Sand Dollars are marine animals closely related to the sea urchin. While alive, these amazing creatures live on the sandy ocean floor, often eating sand to weigh themselves down. The Sand Dollar Soap Mold represents the familiar coin-shaped skeleton that is treasured by coastal beach combers. 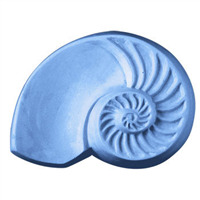 Bar Depth: 0.875" Bar Length: 2.75"
A spiral seashell found by the ocean inspires the Sea Shell Soap Mold. Make soaps using a shimmering mica powder to add to the beauty of the shell! Bar Depth: 1.5" Bar Length: 4"
A leatherback sea turtle migrating across the Pacific Ocean inspired the Sea Turtle Soap Mold. Kids will love it! 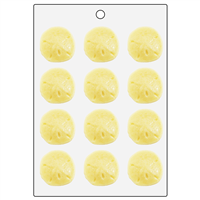 Bar Depth: 1 3/8" Bar Length: 4 3/8"
Our round Wax Tart Shell mold is used for making wax tarts for a potpourri or tart burner. When the scented tart heats up, it fills the room with aroma. The molds are also great for chocolatiers. Bar Depth: 0.875" Bar Length: 1.5"
The Shells Soap Mold Tray features three different shell designs, including conch, scallop, and conical. Perfect for beach houses or just bringing a touch of the seashore inside. 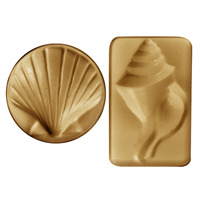 Bar Depth: 1.375" Bar Length: 2.625"
The Shells Guest Soap Mold has a rectangle shape with a conch shell and a circle shape with scallop shell. These make perfect guest soaps for a beach house! 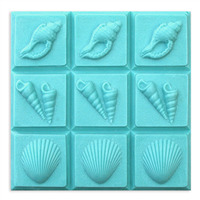 Bar Depth: 0.80" Bar Length: 2.6"
Create mini shell soaps using this bar mold to embellish soaps and bath fizzies. 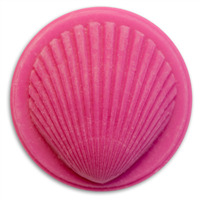 This beautiful mini shell is perfect for mermaid, ocean and beach themed product lines! 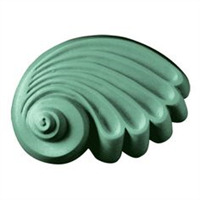 Bring the beach to your soap lab with this Snail Shell Soap Mold. 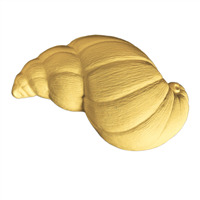 Create soaps and lotion bars in the shape of this Wentletrap seashell for beach themed product lines. 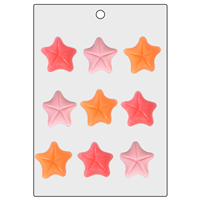 Bar Depth: 1" Bar Length: 4 1/2 "
Top off handmade soap, bath fizzies and more with this adorable mini Starfish Mold! 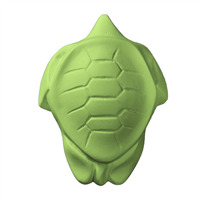 This soap mold is a nice addition to any beach or ocean themed product lines.